Set as the Championship Section Test Piece for the 2019 National Finals of the British Brass Band Championships in the Royal Albert Hall London. The testpiece for the 2009 British Open on the 12th. of September in Symphony Hall, Birmingham. 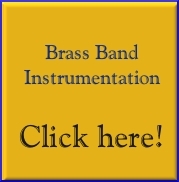 This work was commissioned by Brass Band Oberosterreich at the 2007 European Brass Band Championships at Symphony Hall in Birmingham on the 5th. of May 2007. The first concert performance was given by the Leyland Band conducted by Howard Evans at the Royal Northern College of Music Festival of Brass in Manchester on the 27th. of January 2008, and was used as the Test Piece for the Swiss Championships at the Convention Centre in Montreux on the 30th. of November 2008. Competing bands should note that the score and parts were revised following the Swiss Championships, and therefore a completely new score & set of parts have been produced for the 2009 British Open Championships. The set of parts includes 29 parts, plus 2 single page "off Stage" parts. The work requires four percussionists. Titan was a novel by the German author Johann Paul Friedrich Richter, who later called himself Jean Paul. It is considered the author’s main work and he referred to it as his ‘cardinal and capital novel’. It is almost 900 pages in length and tells the story of the transition of its hero, Albano de Cesara, from a passionate youth to a mature man. Jean Paul was one of Gustav Mahler’s favourite authors and the latter gave the original five-movement version of his first symphony the subtitle The Titan — in deference to Jean Paul’s novel. Titan’s Progress, which is my first work for the British style brass band, also contains references to the music of Gustav Mahler. Motifs from his First Symphony are employed throughout (like the trumpet signals, the interval of a falling fourth, and chromatically falling triplets), especially the principal theme of the finale. I have adapted this heroic martial motif as the basis for the main theme of my own Titan’s Progress — the chorale melody which is heard three times in all and represents the progress of Albano’s ‘titanic’ spirit from youthful innocence to mature experience. My music is programmatic and uses the content of the novel and its hero Albano’s evolution for its underlying structure. The stylistic variety of the work (including the Chorale, an impudent Làndler, a dancing Farandole, and a climactic Fugue) is Mahleresque in its influences.